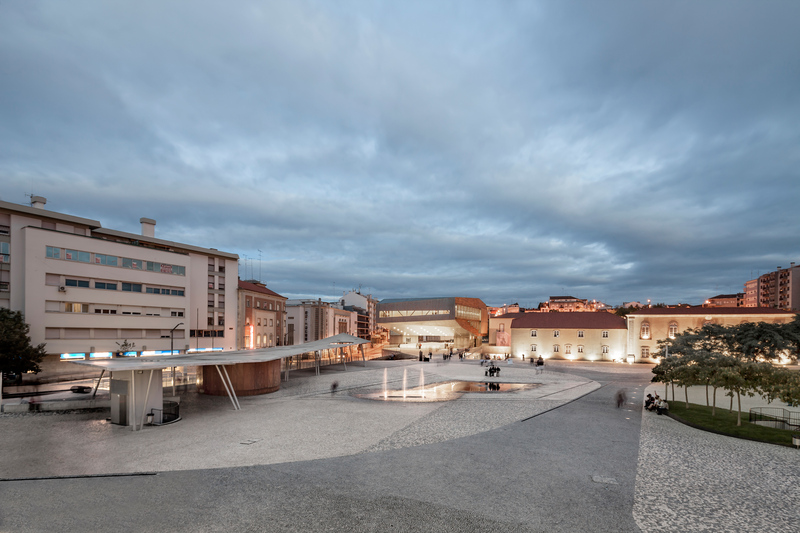 The plaza is a surface, a topography drawn out in relation to the movement of the water and built by pedreiros, following patterns that are abstract but not random. 1. What was your inspiration for this Cultural Center? 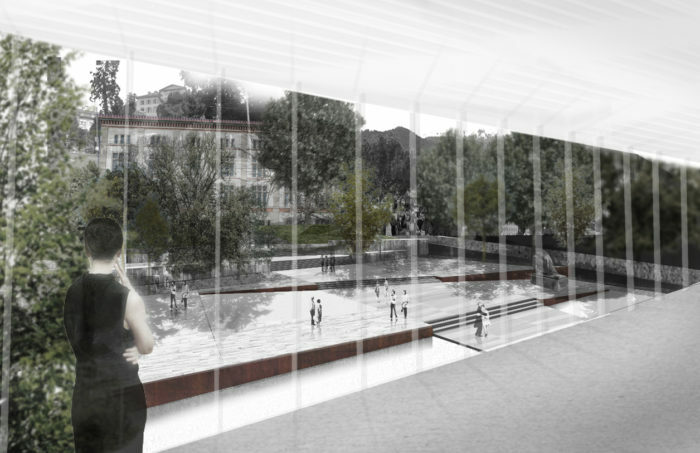 The project appeared as a continuation of our remodelling of Praça Largo da Devesa, a large public space. It sets out to complete it, then, to continue it. It also looks to its neighbours, the old theatre and the former barracks. These were the initial stimuli. 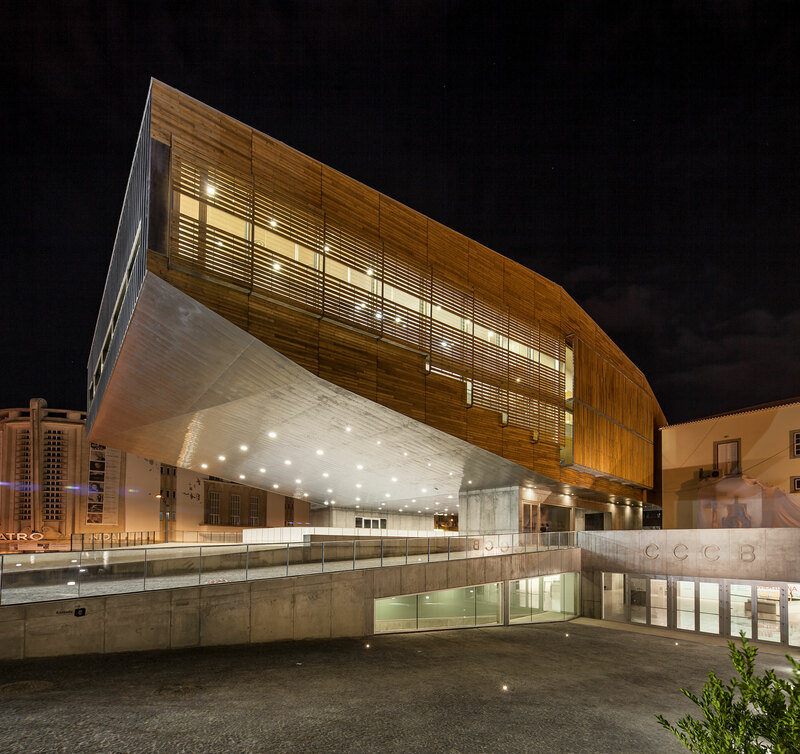 We wanted to make the building float so that the plaza would pass beneath it, and to produce a unitary, continuous building, with roofs, floors and façades that were equivalent to each other. 2. What were the greatest difficulties? The greatest difficulties were certain technical issues, the structure for instance, which a true constructor actually enjoys solving; and, most of all, the passage of time, the great distance between idea and work on site. Though in this case, my faith in the idea is unshaken, and we have worked hard to ensure that it looks new and virginal. 3. 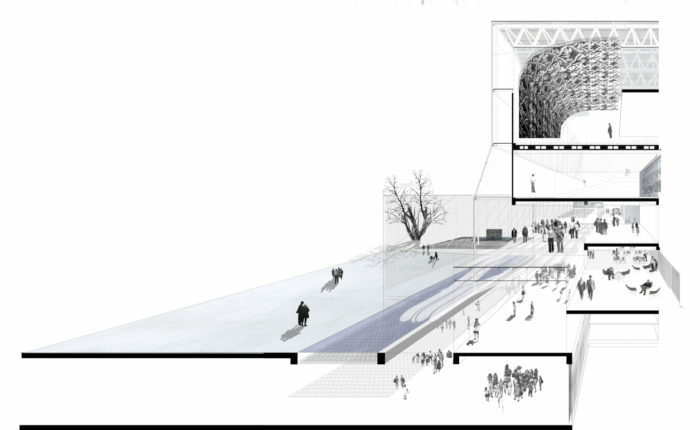 Since this space will house Culture and Art, what is the relation between Art and Architecture? 4. How did you deal with such a warm, dry climate as Castelo Branco’s? The climate is extreme, yes. I’m very pleased with the ice rink at the base of the building, it’s a playful relationship with the climate and the plaza. The building is compact and well insulated, a bubble of sheltered activity, but still related to the exterior.